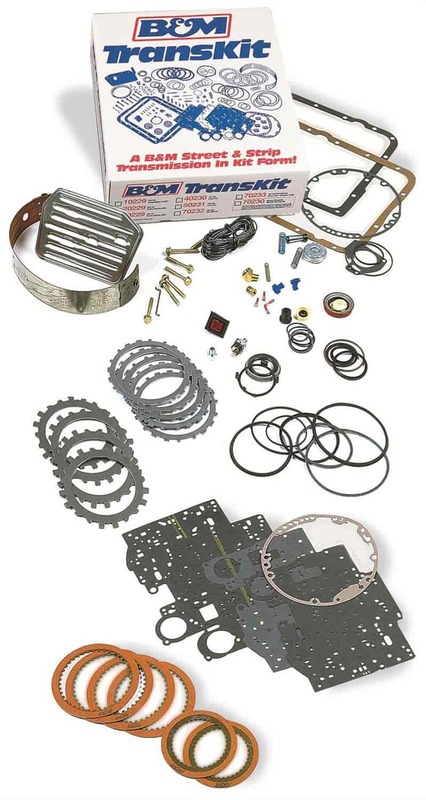 B&M's Transkit Automatic Transmission Rebuild Kits contain the same high quality components used in a B&M Street/Strip Transmission ... in a do-it-yourself kit! Each kit comes complete with full instructions on how to assemble your transmission to B&M specifications and includes special directions on modifying your case, pump, and other components to provide you with all the science and engineering that B&M has put into every transmission they build. Refresh your entire transmission, and improve shift action with key modifications along the way. Note: Does not include bushings. Does B&M 50231 fit your vehicle?